Dealing with Badly-Worn Teeth? Dental Crowns in Westmont Can Help! The crown or cap of the tooth is the part that is visible above the gum line. It houses the main components, which include the dentin and pulp. 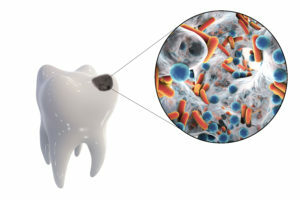 The latter is vital to the tooth’s health because it’s where critical nutrients enter from the gums. If the crown becomes severely damaged, then the more sensitive parts are left vulnerable to infection. 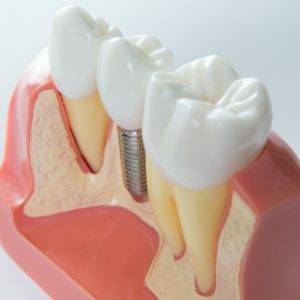 Thankfully, dental crowns in Westmont provide a way to restore both the functionality and appearance of damaged teeth. Read on to learn more about the process so you can get on the road to a brand-new smile! Comments Off on Dealing with Badly-Worn Teeth? Dental Crowns in Westmont Can Help! How Long Does Invisalign in Westmont Take to See Results? One of the questions we often hear about Invisalign in Westmont is how long it takes to get results. For most patients, the answer is around 12 months. The exact length of treatment will vary somewhat from one person to the next. Your dentist is the best source for information on this important topic. 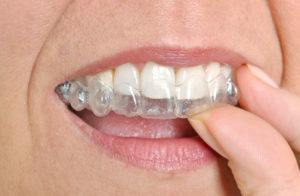 Comments Off on How Long Does Invisalign in Westmont Take to See Results? If you have gapped, misaligned, crooked or crowded teeth, the traditional way to correct the problem is with metal braces. For many, though, their cumbersome nature is bothersome. 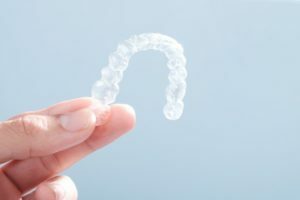 Thankfully, there is a way to get the same results in a discreet manner with Invisalign clear aligners, but these convenient trays present a different challenge – keeping them clean. How can you protect yourself from bacteria growth while wearing them? Your dentist in Westmont says its simple and will explain how as you continue reading. Chronic Bad Breath? Your Dentist in Westmont Can Help! When you open your mouth to speak or yawn, does a foul odor escape? Although it can be quite embarrassing, bad breath is a common problem. It is not unusual for an odor to develop after eating certain foods, like onions or garlic; however, for some, the issue can be ongoing. In fact, it is estimated at least 35% to 45% of adults suffer from chronic bad breath at some point. 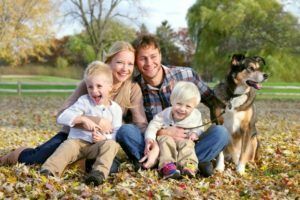 While it may seem like nothing can help to stop the smell, often the treatment is simple with the help of your dentist in Westmont. Comments Off on Chronic Bad Breath? Your Dentist in Westmont Can Help! It’s hard to find a person who doesn’t enjoy a little sugar in his or her life. After a savory meal, there’s nothing like a sweet delight to serve as the ultimate punctuation point. 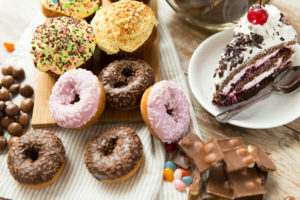 But your dentist in Westmont warns that if your consumption of simple sugars gets out of control, you could suffer drastic effects to your oral health. Learn more about the dangers of sugar and ways to protect your mouth, teeth and gums as you continue reading. In your quest to obtain and maintain excellent oral health, you understand that one of the integral parts is to practice proficient oral hygiene, which includes brushing your teeth. 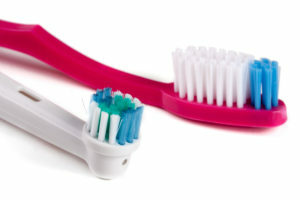 With that in mind, you then wonder which toothbrush is the best to use: electric or manual. Your dentist in Westmont will weigh in on the issue and will levy a surprising final judgment on which is better.